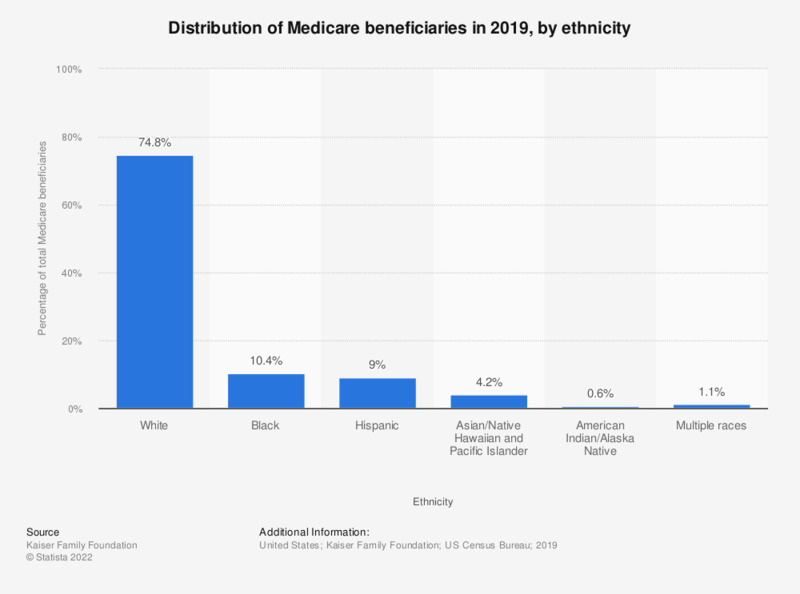 This statistic depicts the distribution of Medicare beneficiaries in 2017, by ethnicity. In that year, nine percent - or around 4.8 million - of all Medicare beneficiaries in the United States were Hispanic. Percentages may not sum to 100% due to rounding effects. Includes beneficiaries dually enrolled in Medicare and Medicaid. Everything On "Hispanic health in the U.S. " in One Document: Edited and Divided into Handy Chapters. Including Detailed References.